No. 99? Try number one. 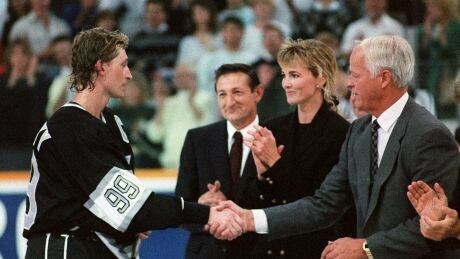 On Oct. 15, 1989, Wayne Gretzky tied and then surpassed the NHL's all-time scoring record. He broke the record during a game against the Edmonton Oilers, the team he'd won four Stanley Cups with before being traded to the Los Angeles Kings the previous year. The game was stopped for a special ceremony when the record was broken. A humble Gretzky thanked his family and paid tribute to the man who held the record before him — Gordie Howe, who was on hand to see No. 99's record-breaking performance. "The greatest one of all, Gordie Howe, has been following us around," said Gretzky, who idolized Howe. "He's just still the greatest in my mind and everybody else's mind." Howe, for his part, was pleased to see the record pass to Gretzky. "To see a kid of that calibre pass it, there's no loss — I figure there's all gain," said Howe. 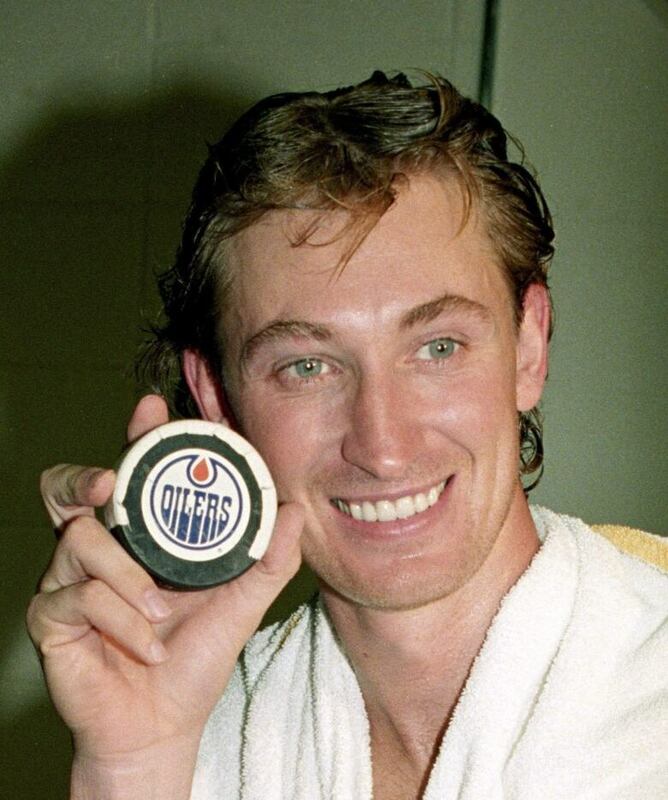 After that game, Gretzky had amassed a total of 1,851 points. He'd add more than 1,000 points to that total by the time he retired 10 seasons later, finishing his unparalleled Hall of Fame career with 894 regular-season goals and 1,963 assists. And almost two decades after his retirement, Gretzky remains the all-time scoring leader. Jaromir Jagr is now No. 2 on that list, followed by Mark Messier and then Howe.